Connect your wireless phone to the Daptor Two using the included 1/4" TRS to 3.5mm TRRS cell phone interface cable. Send and receive voice band audio during regular calls, or full bandwidth audio using third party codec applications. Your device will recognize Daptor Two as a headset which will disable the internal mic and speaker. You may use either the XLR input or 1/4" input, not both. 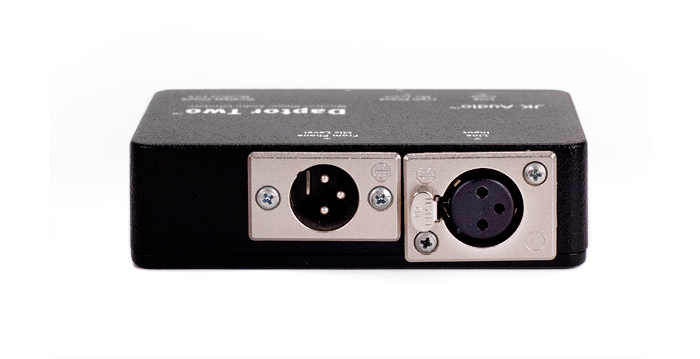 The XLR input jack is disconnected when a cable is plugged into the 1/4" input jack. The same is true for the XLR and 1/4"output jacks. 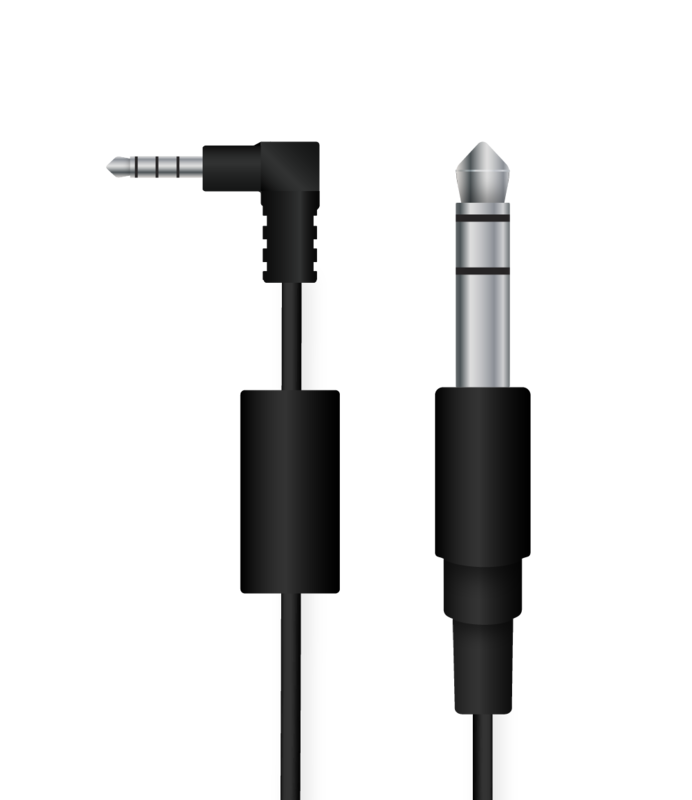 Simply plug the included 1/4" TRS to 3.5 mm TRRS cell phone interface cable into the Wireless Phone Headset Jack of Daptor Two and into the 3.5 mm TRRS headset jack of any wireless phone or notebook computer that accepts a third party headset or earpiece. Cell phones that do not offer a 3.5mm TRRS headset jack will require an adapter (not provided) that allows the use of a third party 3.5mm TRRS headset or earpiece. HD Voice: While standard phone calls have a narrow bandwidth of 300 Hz to 3.4 kHz, HD Voice calls offer 50 Hz to 7 kHz bandwidth. The additional 1.5 octaves on the low end gives voice a more natural sound, while the additional upper octave dramatically improves speech clarity and intelligibility. To take advantage of this extended bandwidth, both phones on the call must support HD Voice, and both phones must be on the same carrier, in coverage areas that support HD Voice.